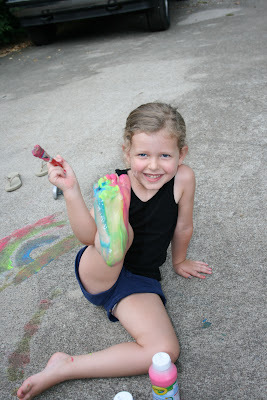 DELIGHTFUL MOM STUFF: Sidewalk Painting! Usually, I try to avoid activities that the clean up takes longer than the enjoyment- so paint is usually reserved for school! However, I discovered sidewalk paint and thought- a hose might be the answer to my clean up issue! 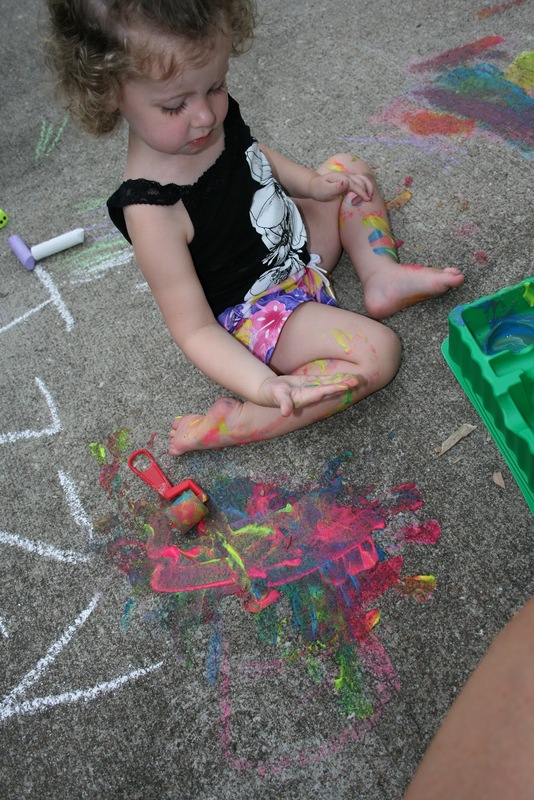 The girls loved it and it washed off with no problem (even from the clothing-although I did wash it immediately, dont know how it works if you let it sit in the sun)- of course the paint ended up being body paint instead of sidewalk paint- but it was still fun! Half the fun was washing off on the slip and slide! Love the simplicity of summer!